José Goldemberg is a tenured professor at USP’s Institute of Physics, which he directed from 1970 to 1978. He was president of the University of São Paulo (1986-1990), of the Brazilian Society of Physics (1975-1979) and of the Brazilian Society for the Advancement of Science (SBPC) (1979-1981). He held several positions in government: president of Companhia Energética de São Paulo (CESP) (1982-1986); President’s Secretary of Science and Technology (Ministry of Science and Technology) (1990-1991); Minister of Education (1991-1992); President’s Secretary of the Environment (1992); and Secretary of the Environment of the state of São Paulo (2002-2006). He was a visiting professor at Stanford University and Princeton University (both in the United States), and at the International Academy of the Environment, IAE (Switzerland); a professor at University of Toronto (Canada) and Université Paris-Orsay (France); and a researcher at University of Sussex (England) and the International Institute for Applied Systems Analysis (Austria). 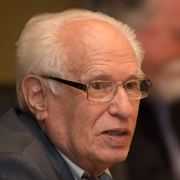 Goldemberg is member of the Brazilian Academy of Sciences (ABC) and of the Third World Academy of Sciences (TWAS); and co-chair of the Global Energy Assessment (GEA). He is the author of numerous articles and books on nuclear physics, environment, energy planning and biomass. In 2007, he was named by Time magazine one of thirteen “Heroes of the Environment” in the category “Leaders and Visionaries.” He was awarded the Blue Planet Prize in 2008 by the Asahi Glass Foundation.